1) Come on to all fours with the wrists underneath the shoulders and the knees underneath the hips. 2) Extend the right leg to the back of your mat and flex the foot. 3) Lift the right leg up to hip-level, keeping the hips squared towards the floor and the foot flexed. 4) Lift the left arm up to shoulder level. 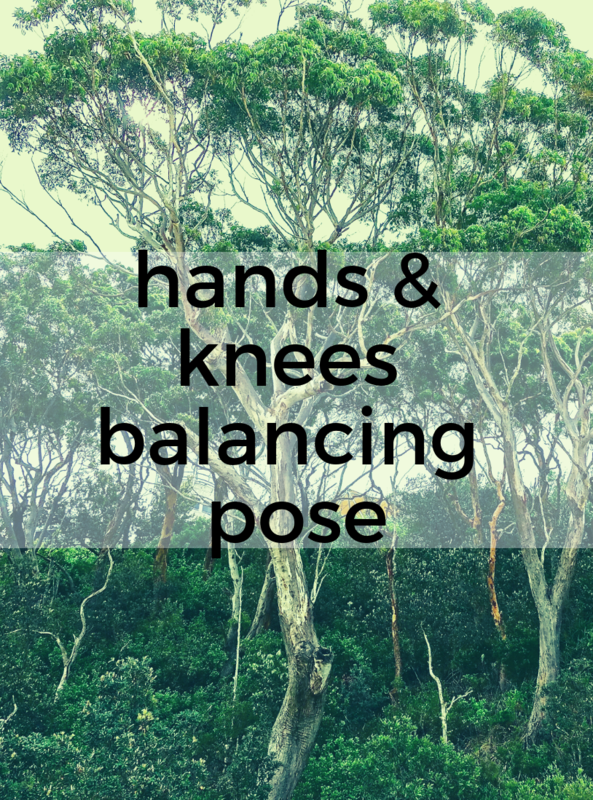 5) Balance on the left knee and right hand, keeping the spine neutral and the neck long. 6) Stay 5-10 breaths before lowering the lifted hand and knee and doing the other side. Take care not to let the spine collapse while you are balancing. Bend the knee of the lifted leg. Reach around with the lifted arm and hold on to the inside of the lifted foot. Do some crunches in which you bring your raised knee and elbow to meet under your belly, then re-extend them. Repeat five times on each side, moving with the breath.